Our range of products include saree, suit, garments storage bag, pvc stitched bag, garment packing bags, saree and suit packing bag and lhm pvc bags. Material: High quality transparent material. Long life High quality saree cover for organizing your costly and favorite sarees. Useful for safeguarding delicate & precious fabrics, clothes, denims, shirts, trousers, woollens, Indian sarees, lehengas. Please read the below description to know more about this product. 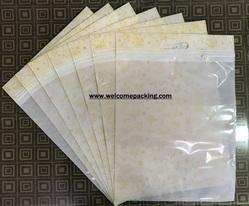 Being a notable enterprise of this industry, we are offering a wide range of Simple Garments Packing Bags. Offered Garment Packing Bag has the handle for its easy carrying option, zipper design to safeguard packed items from external damages like dust, moisture, light, and water. This Simple Saree Set Cover Bag is designed using high-grade material and contemporary machines in line with the set quality standards. Strongly committed to quality, our range of Zipper Pouch is fabricated from fine quality material that imparts required durability and strength to the pouches. 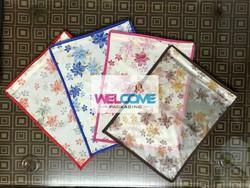 The array of side sealed pouches can be availed in multi-colored printings. Further, it can be customized to suit the exact requirement of the customer.